Living in South Florida Snapper has become one of my favorite fish and I have collected many recipes on how to cook Florida Snapper, but this is one of my favorites! 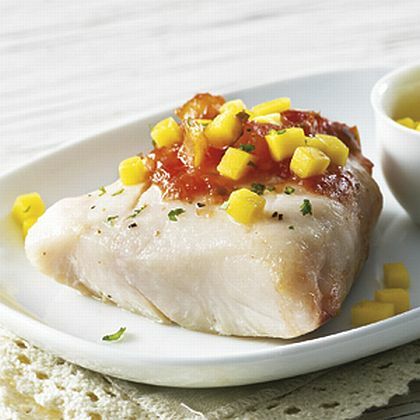 Snapper has a very mild flavor and perhaps even sweetness to it. The flesh of a Snapper is semi-firm in texture and most recipes call for snapper fillets to be skinless although some people like to cook the entire fish with skin on. This Snapper Recipe should take about 25 minutes total and will feed 4 people. Season Snapper fillets with salt and pepper then place fillets on a baking sheet. Top the fillets w with the salsa and then bake for about 12-14 minutes or until the Snapper fillets are opaque and separate easily with a fork.